As a testimony of the centuries-old importance of the “Arte dei Medici e degli Speziali “(the Corporation of the Physicians and of the Apothecarists) in the economic and cultural fabric of the city, Florence has devoted to this Corporation one of the streets of the historic center where, since the Middle Ages, were located many warehouses that would supply the Apothecarists for their preparations. Via degli Speziali is located on the old Roman decuman of Florencia overlooking the site of the Old Market, now Piazza della Repubblica. Perfumes, aromatic oils and beauty treatments were all part of the repertory of the Apothecary who, using officinal herbs, aromatic herbs and flowers, put to practice the competence and experience passed down through the generations. The old Florentine tradition continues to live and is transmitted until today with the flowering of the activities that operate, using research and innovation, in the fields of perfumery and cosmetics. A visit to the Botanic Garden, the “Orto dei Semplici,” created by the de’ Medici family in 1545 as a garden of officinal plants, called the “semplici,” will reveal to its fans how important this sector is in Florence. 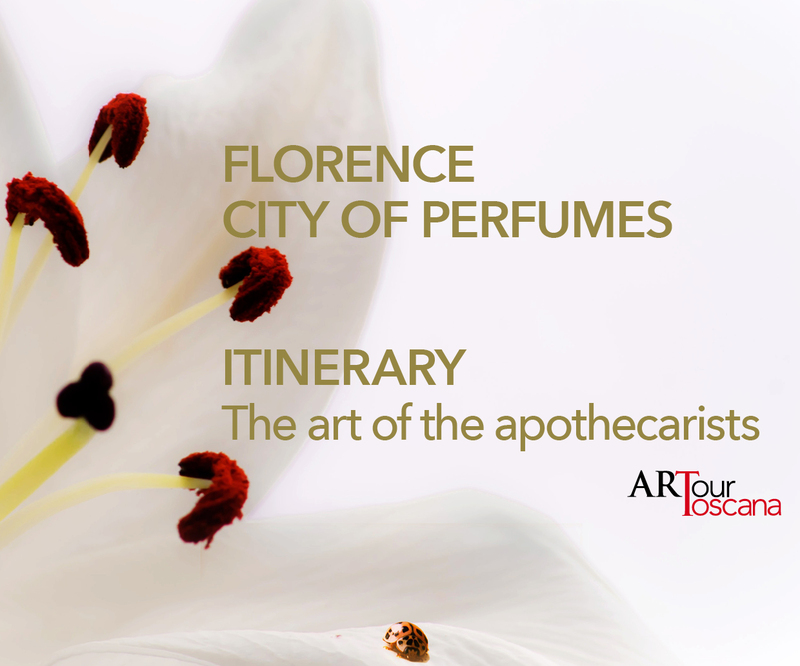 We start our itinerary exactly with the flowers, with ARS Angela Raveggi’s artistic creations that capture the fragrances, flowers and colors of the Tuscan countryside. We continue in Via Reginaldo Giulilani to discover a historic place in Florence, the Stabilimento Chimico Farmaceutico Militare, that besides their production lines of drugs and medical devices, offers food products and cosmetics, forever an excellent marriage of rigourous quality and unmistakable tradition, kept unchanged over time. Our itinerary then arrives in Via Pacinotti where we make the aquaintance of Divina Essentia: here, the absolute central element is nature and its balance, always at the base of its creation of very pure, natural and organic products. We reach Via de’ Servi to discover another historic place in Florence, the Farmacia SS. Annunziata where since 1561 are created extraordinary products, respecting the most authentic tradtion of the art of the apothecarists. We continue our walk until we get to Piazza San Giovanni and we enter the shop of Acqua dell’Elba. Here we can let ourselves be seduced by the breeze, the intoxicating aromas and the fragrances of the herbs of the Isola d’Elba. We end our itinerary in Via San Gallo, letting ourselves go to the inebriation of the many aromas of the ‘Antica Officina del Dottor Vranjes.